It reminds me of the “futuristic” architecture at Tomorrowland in Disneyland, or maybe EPCOT Center. Seeing all that as a kid in the 70s made quite an impression. This table comes in three shapes, but seating six in a triangle is pretty unique. And of course the red and white paint was a no-brainer to match the RETROvan. Olivia suggests a turquoise umbrella, which is worth a try. I ordered a pair of custom chrome emblems from pidplates.com. These cost $76.95 and should arrive in a week. I’m thinking of putting them on the fenders over the front wheel wells. 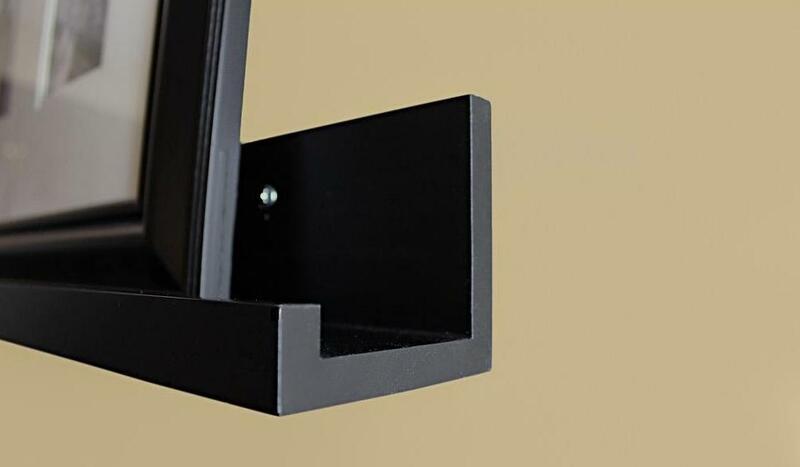 And I ordered a pair of these 60″photo ledges, which may be ideal for suspending my custom clapboard headrests on the walls, between the backrest cushions and the windows. This may work better than Velcro, but if not I can always return them to Home Depot. I received my two grab bar shelves today and they’re awesome. There are a few good options for placement. The white plastic tray is not attached to the chrome, as expected. So I’ll try securing them with silicon adhesive. And I picked up my window decals from Signs Now and, well… Why would a professional graphic designer think they can just substitute a different font on your custom lettering order and you won’t notice? I clearly specified (and provided) Apple’s SF Pro Display font and even a PDF of the expected product. But they substituted Helvetica for it because “that’s an Apple font.” So they had to redo the job. Yesterday Gary and I finished cutting, gluing and stringing the conduits and risers that will bring power, data and water to the pedestal. Today I picked up the rest of the 6×6″ timber and 2-3/8″ steel posts we need for the patio and gate. So this evening we’ll set the corner timber posts in concrete, in preparation for forming the curbs and steps this weekend. We’ll set the RETROpad’s front gate post next to the corner at the same time, since it needs to share the same hole and concrete. We won’t be ready to pour the curbs until after Labor Day now. But today’s the coolest day of the week so we plan to make the best of it before temps soar to 100° again.